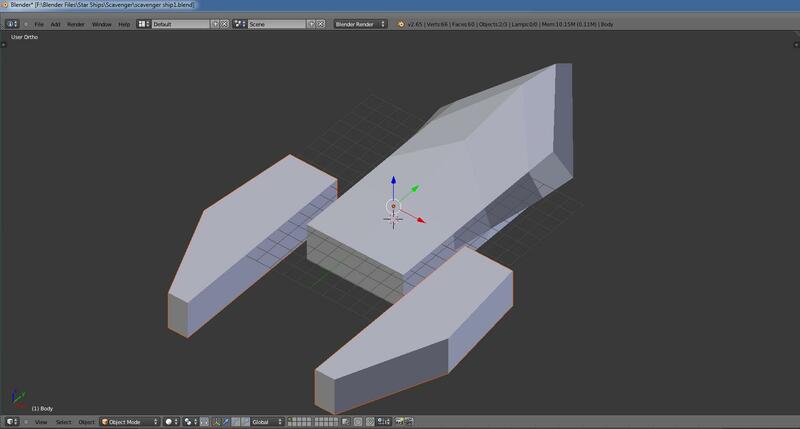 Started working on the main character’s ship, the Scavenger. I have gone through several shapes and sizes, but they have mainly stayed the same form. With that in mind, decided to start with the overall shape of the ship and get this project started. The more I let it sit out there, the more changes I try to make to it. This overall draft will be the base of the ship structure. Looking forward to getting this one done soon. Next Entry Scavenger Scout WIP.